Hello everybody, welcome to ZetiraKitchen. Let's cook together and get many information. How to Make Confetti Corn - Hello everybody, welcome back with RedHood Kitchen! Today i will share confetti corn recipe that easy to make. 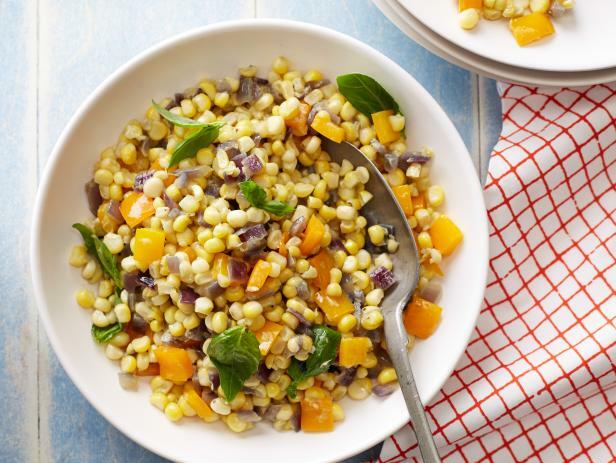 Corn has sweet flavour and it will be sauteed with other vegetables that makes corn rich in taste. Moreover, confetti corn has a lot of nutritional value so it gonna be healthy food for kids. Now let's to make it! Add the onion and saute until the onion smell. Stir in the bell pepper and saute for 2 more minutes. Add the butter to the pan and allow it to melt. Over medium heat, add the corn, salt, and black pepper And stirring occasionally, for 5 to 7 minutes, until the corn just loses its starchiness. Add basil or other green herbs, and serve hot.